I have not recieved a confirmation e-mail after my booking, only a receipt from PayPal. I also did not receive a confirmation e-mail after my booking, only a receipt from PayPal. Can you please check if there was any issue. thank you, in the meantime you have confirmed the receipt of the tickets. I haven’t received a confirmation after my booking yesterday. Can you please confirm booking for Sunday 21st October has gone through. 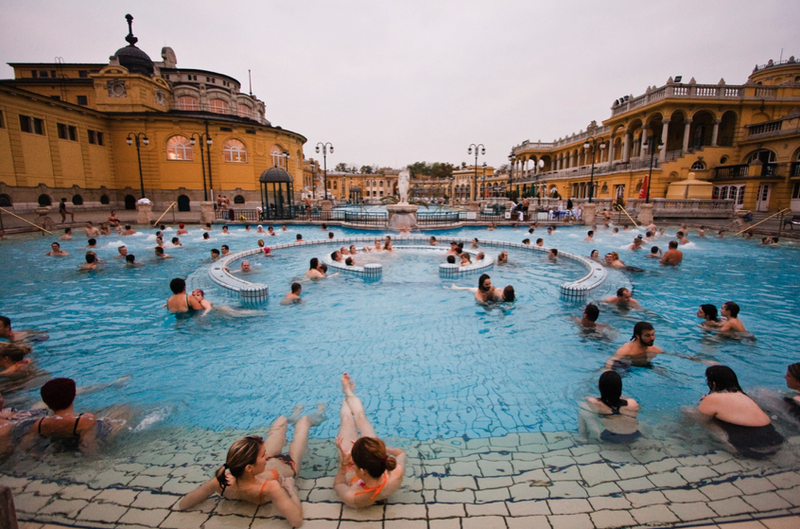 I am visiting Budapest with 2 other friends and we would like to enjoy 1 day in this bath. 1 – Can we use bikinis? 2- Do we need to use cap for the hair? 3- We have bag luggage – is there enough space in the cabin to store them there? Swimming caps are required in the swimming pools, but not in the thermal pools. Yes, your luggage can be left in the cabin. I haven’t received a confirmation after my booking. Can you please confirm booking for Thursday 18-October? The confirmation email with the actual massage hours has already been sent to you. I cannot find an option to book the ticket and aroma therapy couples massage for 60 min. How should I do this? Please choose the Ticket + Gentle Massage (Stroking, Relaxing) option from the 45min/60min massages, where you can choose the Double Harmony Massage 60min option, which is already for 2 guests.